On Sunday afternoon at Seoul Race Park, Charming Girl was saddled up, led around the paddock and cantered down to the start of race 6, a 7-furlong class 4 event for Korean-bred horses. Then, just as had happened on all of the 95 previous times she had gone through this process, she entered the starting gate, ran as fast as she could and was beaten. In finishing 9th of 11 and taking that sequence to 96, Charming Girl broke the Korean record for longest consecutive losing streak. The previous holder of this dubious honour was a New Zealand bred gelding named Dang Naru (Ivory Hunter), who went through his whole career of 95 runs without a victory between 1995 and 2000. Dang Naru did, however, manage to record one 2nd place finish. Charming Girl’s best finish is 3rd, a position she has achieved on eight occasions. Charming Girl [Pacific Bounty – Tweddles (Golden Juggler)] made her racecourse debut in January 2008, finishing 10th of 12. She would perform in similar fashion for much of the year, until in October, she broke into the money for the first time, with a 3rd place finish over 6 furlongs. Two months earlier, she had been ridden for the first time by newly qualified apprentice jockey Yoo Mi Ra. Yoo has since ridden her on a further 75 occasions which works out as almost exactly 10% of her total rides to date. It is no coincidence that her win ratio is one of the lowest of all jockeys at Seoul. 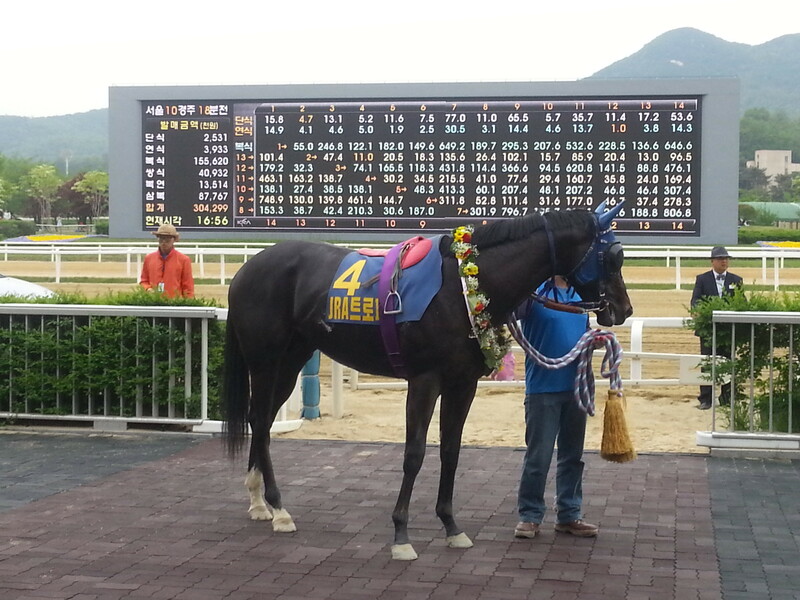 Indeed, just as Yoo Mi Ra’s figures do not necessarily do her justice, so Charming Girl is not a terrible racehorse. However, under Korea’s strict class rating system, horses who are talented to a certain extent but reach their limit, have nowhere to go. Once a horse goes up on class, they can never be dropped down again. Over the course of her career, Charming Girl has managed to amass enough prize money – around US $50,000 to date – to be promoted first to class 5 and then to class 4 where she remains. Not fast enough to win, but never able to return to a lower level where she might be competitive. It is a system that does provide extra security for betting integrity and for ensuring that the majority of uncompetitive horses are retired but it is also one that leaves many racehorses facing an uncertain future once they have reached a level where it is impossible for them to win. Charming Girl won’t have any problems. Her owner Byun Young Nam thinks the world of her and has announced his intention to keep running her so long as she is sound – and with no injuries or illness in five years, she perhaps is the soundest horse at the track – with a comfortable retirement to look forward too. 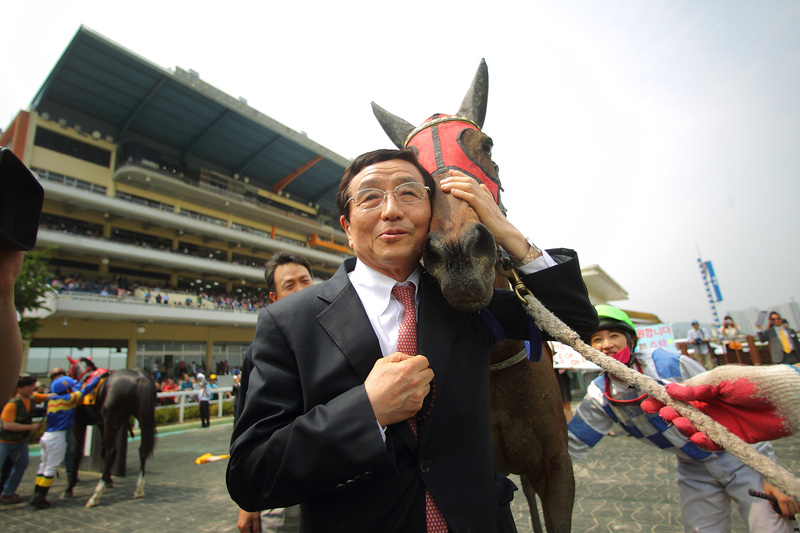 Byun was on hand in the unsaddling enclosure after Sunday’s race to welcome his mare back and to pose for pictures. In Korea especially where purses are high but ownership isn’t something to show off in polite society, racing is about winning. Charming Girl’s career has been about anything other than winning. In 2011, with 60 defeats already under her belt she, alongside the vastly more successful mare Luna, who nearly died aged 2 before coming back from injury to win several Stakes races, was featured in a campaign to promote ownership. The message owner Byun was passing on was that you don’t have to win to have fun. If every horse was like Charming Girl, we wouldn’t have much of a sport, however, having been a popular fixture of the Seoul track for the past 5 years, she deserved her moment in the spotlight on Sunday. She should break the 100 by the end of summer. 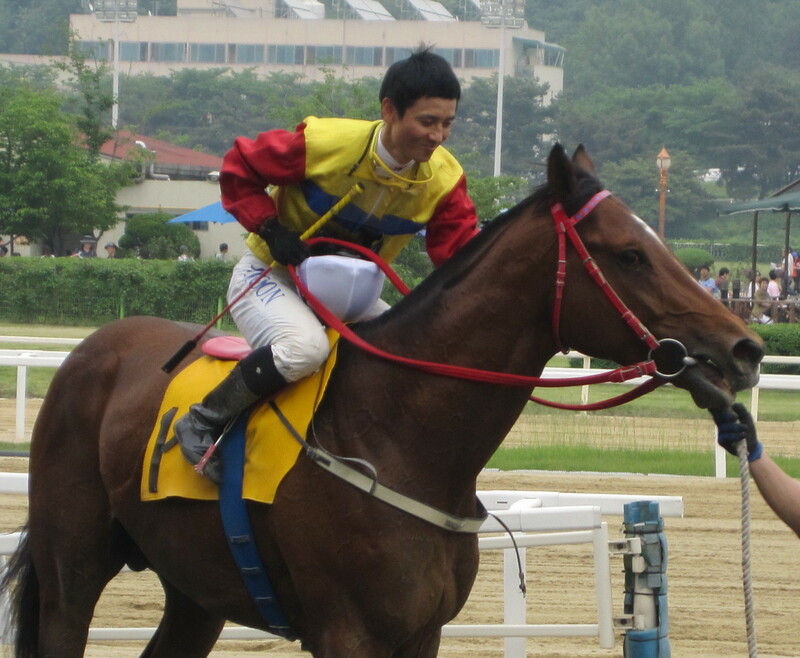 Jigeum I Sungan landed his 5th straight win – and his 11th in total – routing a class 1 field at Seoul Race Park this afternoon. The 2012 Korean Derby winner was sent off as the long odds-on favourite for the Sports Kyunghyang Trophy, a 1900 metre handicap. 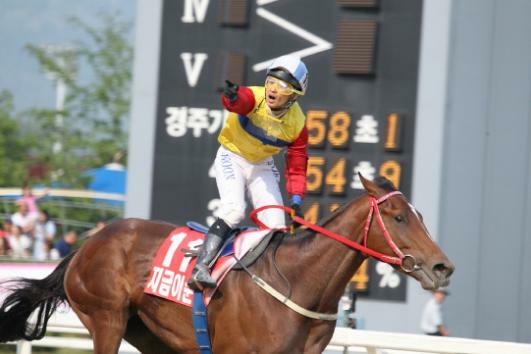 While jockey Moon Se Young was patient, once he pulled the trigger with 300 metres to go, Jigeum I Sungan slipped away from the field, cantering over the line 10 lengths of his nearest rival. 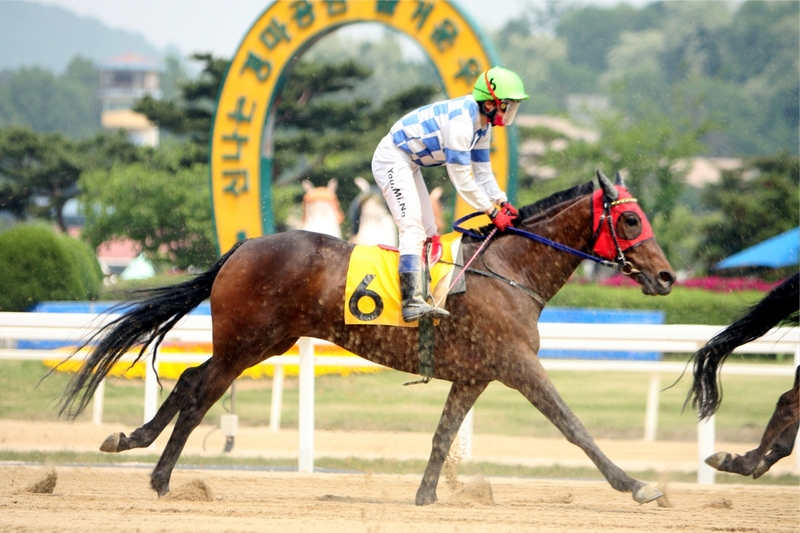 The 4-year old Jigeum I Sungan (Ingrandire) is unbeaten since losing to Dangdae Bulpae in the President’s Cup last November. Among Korean bred horses, only the 6-year-old Dangdae Bulpae is currently ranked higher and another meeting between the two would be very interesting. * Next week, Stakes action returns to Seoul in the shape of the Sports Chosun Cup. Feel So Good, who was among those crushed by Jigeum I Sungan in the Owners Association Trophy last month, is set to be given an opportunity to show that his performance that day was a one-off and to start to live up to the expectations that many people had of the first Korean bred horse to win a race in the United States. 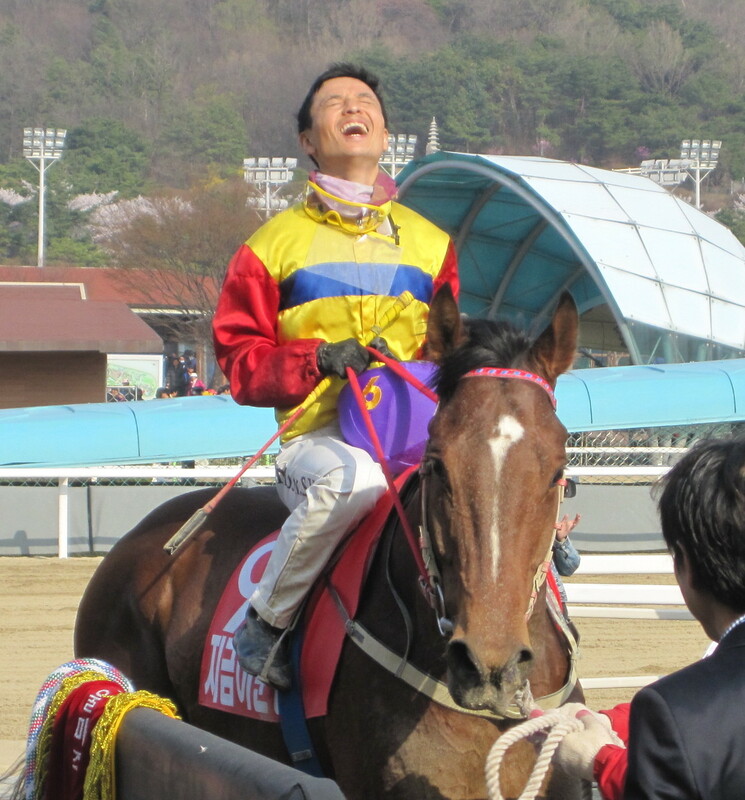 Just a week after Speedy First won the 2013 Korean Derby, last year’s winner Jigeum I Sungan, headlines the action at Seoul Race Park, while on Jeju Island, the ponies have their own Derby. 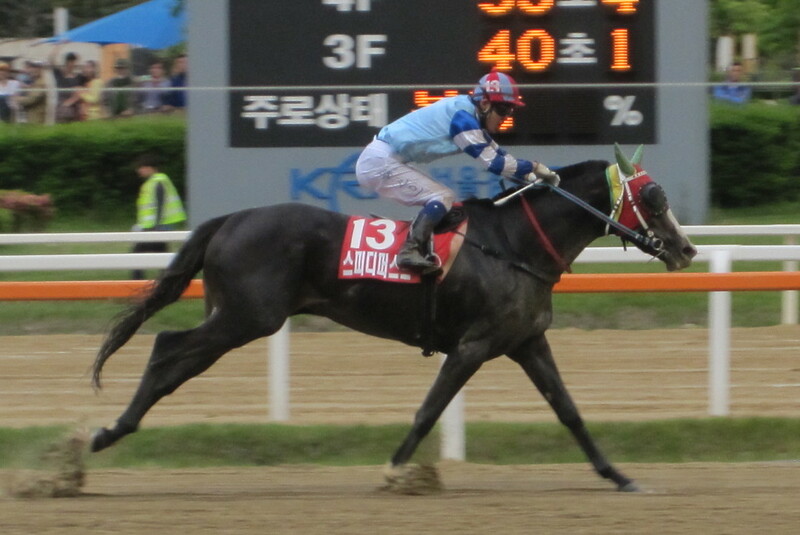 Jigeum I Sungan (Ingrandire) added another Stakes crown, the Owners’ Association Trophy, to his big-race haul last time out and, despite being top-weight by some considerable margin, will be heavy favourite to win in slightly more modest company in Sunday’s feature handicap. Down at Busan, another former Derby winner, Ebony Storm (Buster’s Daydream), the evergreen winner of the 2008 edition is also in action. He’ll be nowhere near favourite but the 8-year old is not without a hope in the 7-furlong main-event. Last year’s KRA Cup mile winner Gyeongbudaero (Menifee) heads the field. 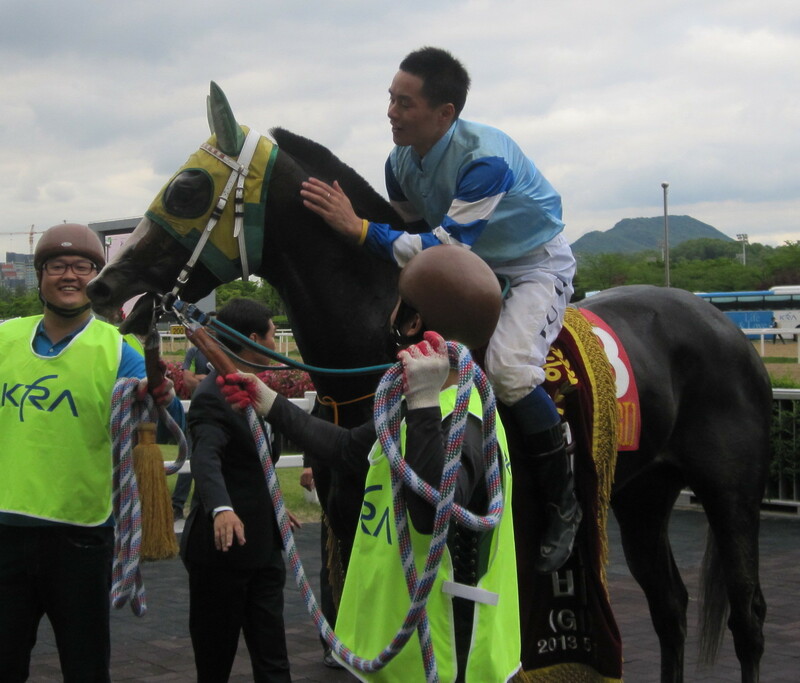 Derby winning jockey Joe Fujii returns to his home-track of Busan and has 10 rides across the weekend. The other foreign riders at the track aren’t getting quite the same support, however, with Ureshi Katsunori and Darryll Holland having just 3 and 2 mounts respectively. Up at Seoul, however, it is a very busy weekend for Ikuyasu Kurakane, who rides 17 while even the ever-relaxed Yukio Abe will get on 9. Meanwhile, down on Jeju Island, it is Derby Day! 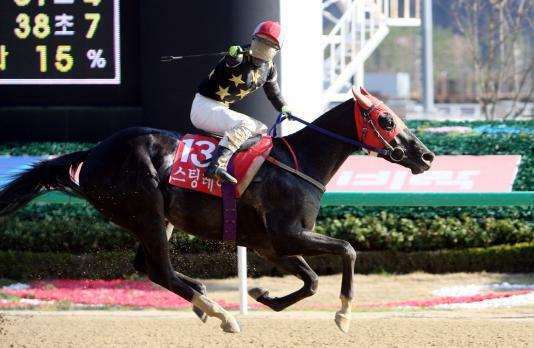 The KRA Jeju-Bred Derby is a new event on the calendar (or rather, an old Stakes race re-packaged as a Derby for 3-year olds) and brings together 10 of the most promising ponies running at the track. I’ll not pretend to know anything about the form but I do know that a month ago, practically the same field ran over the same 5-furlong distance in a race called the “Seongsan Ilchul” (hereafter called the “Jeju Guineas”) and it was won by a gelding called Sanjeongmuhan by a neck. Sanjeongmuhan comes into the Derby with 6 wins from 9 starts. The race is number 5 on a 9-race card on Saturday at Jeju and will be simulcasted live to Seoul Race Park. Here’s what’s happening when and where. Remember Bulpae, a 37/1 outsider, came through with a fast late run to win the Japan Racing Association Trophy at Seoul Race Park this afternoon. Remember Bulpae (After Market), an $11,000 purchase from Ocala last Spring, came into the race with 2 wins from his previous 6 starts but wasn’t given much chance against such highly thought of young imports as Dongbanjaui Gijeok (Half Ours), who was sent off as favourite. Indeed it was Dongbanjaui Gijeok, along with Pureun Miso (Malibu Moon) who set a fast pace out of the gate and looked likely to contest the finish between them until Jo In Kwen brought Remember Bulpae down the outside to sweep past them within metres of the line. * The JRA Trophy is always held the day before the Korean Derby and this year there is another link between the two races. Straight Cash, dam of KRA Cup Mile winner and likely Derby favourite Sting Ray, won the JRA Trophy in 2005.